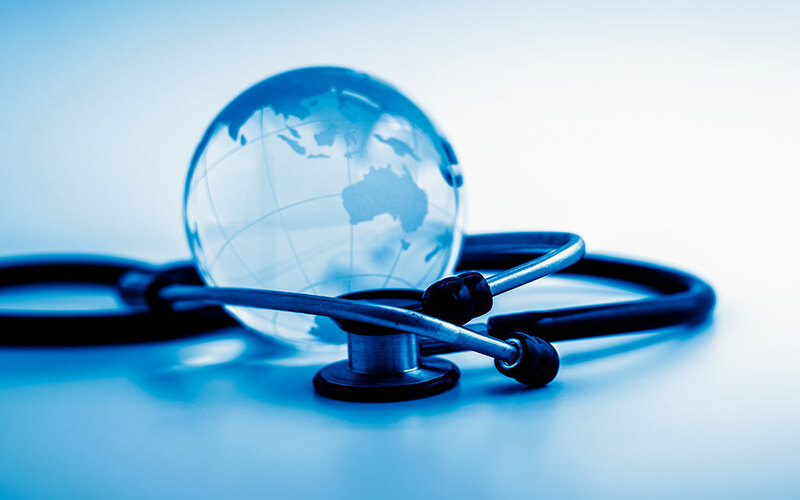 Our team members and subject matter experts have vast experience in global health disparities, with an emphasis on improving worldwide health conditions by using data-driven programs. Bizzell offers full-scale global and social impact assessments. We offer expert support in the monitoring, evaluation, and learning framework; program and knowledge management, technology solutions, logistics, environmental scans, baseline studies, needs assessments, program development and implementation, and compliance and program auditing. Bizzell has supported programs across the globe from Bangkok to Amsterdam to Haiti and continues to provide expert services in various capacities. Bizzell is committed to improving the health conditions of people around the globe by offering its expertise and by using a cadre of subject matter experts to identify and address issues related to disparities. Our goal is to find sustainable solutions to intractable international problems by supporting agencies, organizations, or other entities who are equally committed to making a positive global impact. Analyzed the level of gender integration in the program areas at each participant’s Mission and, using a template developed for the training, prepared a plan for strengthening gender integration within the DLI portfolio. Bizzell staff provided program management and immunization-related technical assistance for six U.S. associated Pacific Island Jurisdictions. The assistance included developing program plans, developing organizational capacity, establishing programmatic and administrative data systems, analysis of data, and training. Staff supported technical and financial infrastructure systems for the Global AIDS Program’s (GAP) missions in Ethiopia and Malawi by developing protocols to establish and to maintain relationships with local organizations from the Ministry of Health (MoH) to the military to local schools and hospitals and with U.S. entities. This work included developing, designing, and implementing administrative systems within the Office of the Chief of Party, including procurement, budget, and personnel systems. Staff also established and implemented monitoring and evaluation systems, including appropriate training programs, to support effective public health programs for HIV/AIDS, TB, and STI in Ethiopia, and facilitated linkages to other in-country programs and organizations for sharing of monitoring and evaluation data. Bizzell staff oversaw public health assistance to fulfill activities related to the post-earthquake health systems recovery and reconstruction for Haiti and assisted the Haiti Ministry of Health (MoH), CDC temporary duty (TDY) assignments and PEPFAR staff with cross-cutting support that included the strengthening of health information systems, public health surveillance activities, and diagnostic laboratory testing. Bizzell staff supported meetings in Cape Town, South Africa, and represented the National Cancer Institute’s Tobacco Control Research Branch (TCRB) at the World Conference on Tobacco or Health (WCTOH) held March 6-9, 2018. This international conference drew participants from around the world, with a particularly strong presence from those across Africa, an area where the prevalence of cigarette smoking is on the rise and expected to continue to do so without strong tobacco control interventions. Bizzell supported meeting logistics for a pre-conference workshop entitled “Research to Inform the Development and Implementation of Tobacco Control Policies and Intervention” that was attended by at least 53 people from 23 different countries. Bizzell also coordinated the NCI presence in the exhibit hall in collaboration with the Centers for Disease Control and Prevention. Bizzell staff supported The Interagency Autism Coordinating Committee (IACC), a federal advisory committee that coordinates all federal efforts concerning autism spectrum disorder (ASD), at the International Society for Autism Research (INSAR) 2018 Annual Meeting in Rotterdam, Netherlands, in May. Bizzell staffed the IACC exhibition booth, managed shipping logistics, communications, and disseminated information. The workshop highlighted the importance of diversity in science along the research pipeline (basic, translational, clinical, and implementation science); in the global mental health research workforce; in the individuals who participate in mental health research (including youth, racial/ethnic minorities, women, sexual and gender minorities, and individuals with disabilities) and in the short, medium, and long-term time frames required for various research endeavors to improve clinical care. Our clients drive real-world change. We accelerate it. We meet complex challenges with comprehensive, innovative solutions. We are prepared to meet your greatest challenges and develop strategies that meet your impact goals.